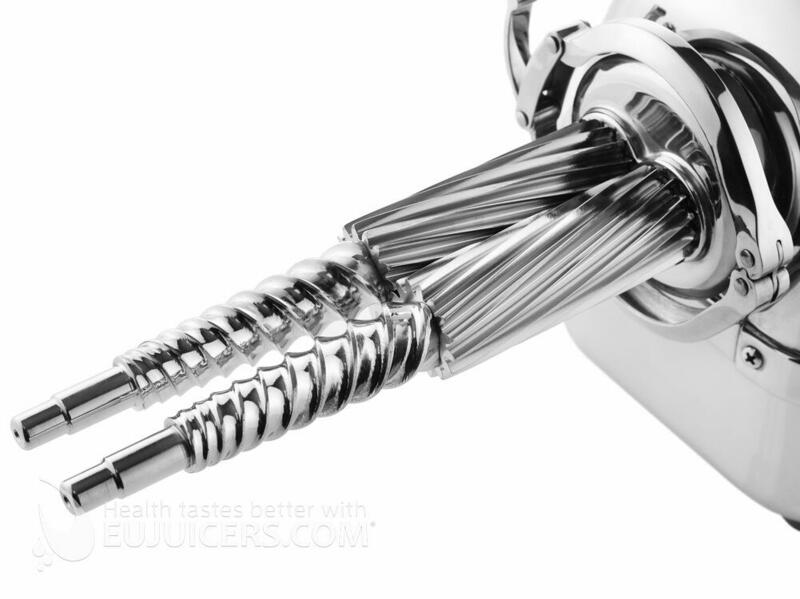 Operating at 82 rpm, the Angel juicer retains all important elements inside the juice which are important for the body such as vitamins, minerals and other elements. The juicer is equipped with the latest type of „dual gear“ set of augers, which effectively and at the same time carefully processes the individual produce in two steps. In the first stage, the produce is ground into small bits. In the second stage it is literally “chewed up”, by which the best quality juice is separated from fruits and vegetable. 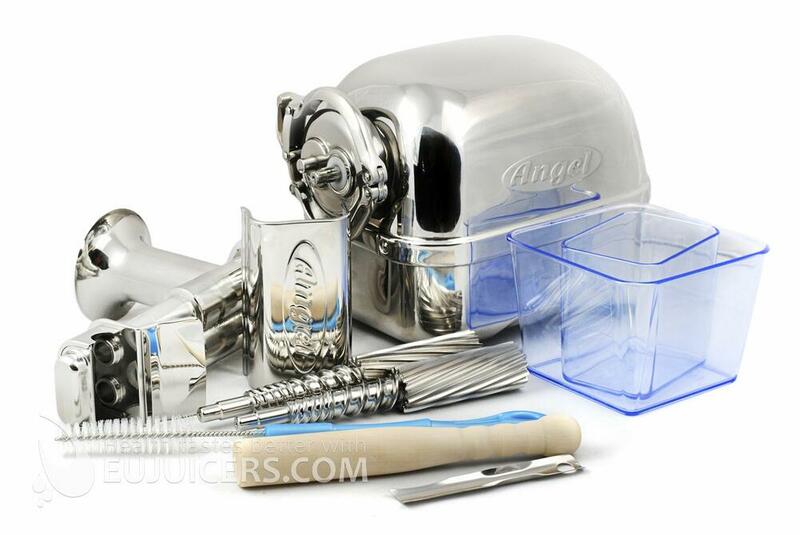 The Angel juicer is made up of only four parts, thus the assembly and disassembly of the juicer is very simple. 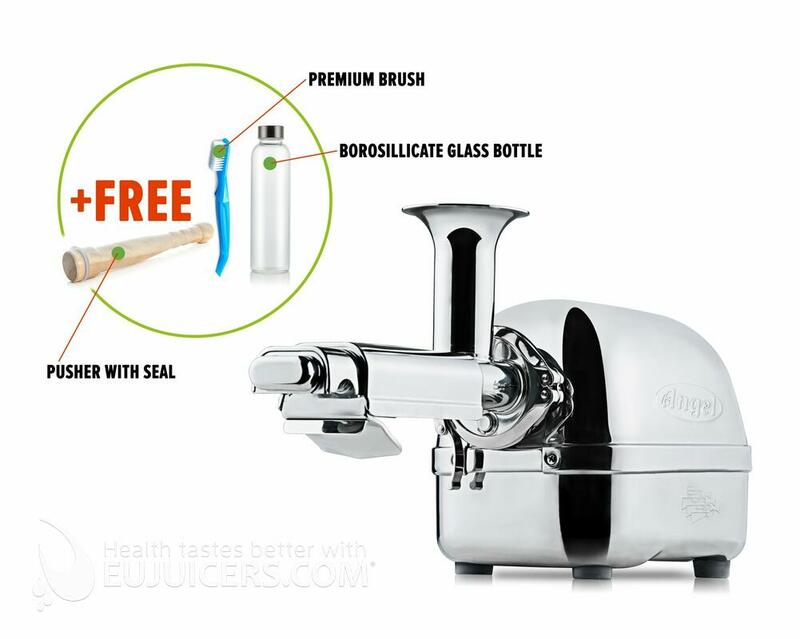 The Angel juicer is able to juice practically every kind of produce – fruit, vegetables or herbs (from carrots to apples, even wheatgrass or spinach). The juicer has excellent results even when processing barley sprouts, leafy vegetables, herbs, shoots and sprouts. At the same time, it can make tofu, savoury pate and peanut butter! DIFFERENCE BETWEEN 5500, 7500, AND 8500: When juicing vegetables (for example wheat grass, etc.) it is easy to overload a juicer. All Angel juicers will automatically stop in this instance. However, the 7500 and 8500 will also automatically reverse the motor to free the jam. In the 5500 this is done manually. This will prevent too much pressure building up in the machine which could possibly damage the juicing screen. 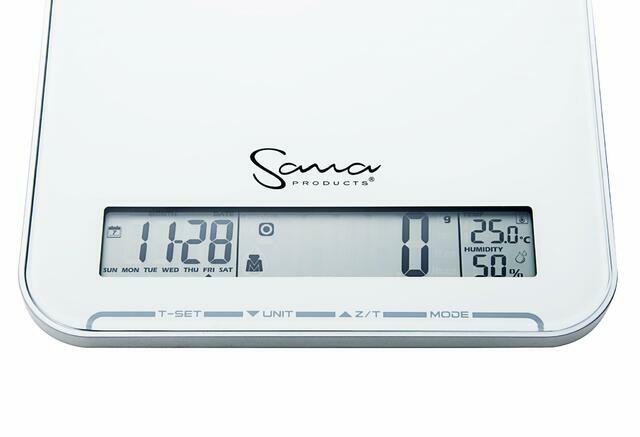 The 5500 and 7500 are ade from SUS304 food-grade stainless steel. 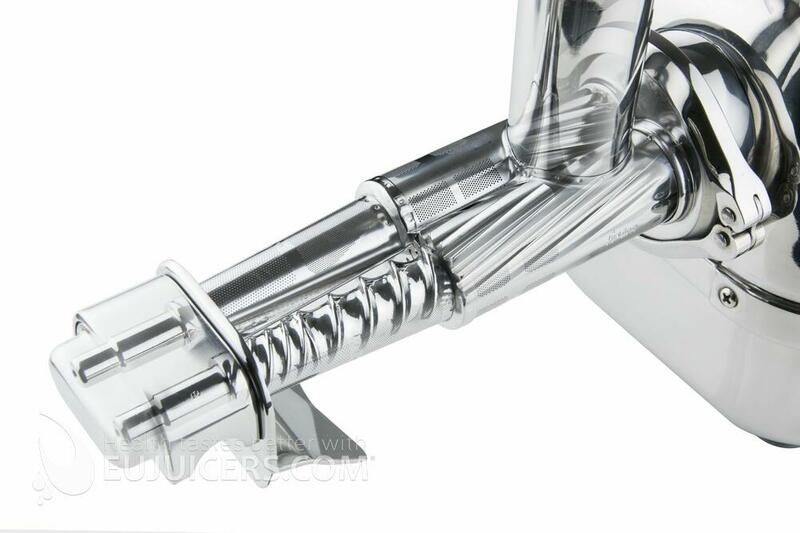 The 8500 is made from SUS316 surgical-grade stainless steel. You may find some distributors promoting "new" models of Angel juicers with names like Super Angel Model Pro, Deluxe & Premium Deluxe. The current models 5500, 7500 and 8500S are the newest models and the names above are the same models renamed for the US market. When they are promoted as "new", it means these are new models in the US only. These models have been available in Europe for a few years already. please contact our UK partner Energiseyourlife. Tests on this juicer were surprising – such excellent results are not usually seen! We have tested carrots, apples, oranges, grapes, currants and lettuce. Carrot pulp is considerably drier than from any other machine and there was almost no apple pulp remaining. The machine really extracts all the juice from lettuce. The price you “pay” will pay back in maximum yield. There are less parts to clean but you will have to use the enclosed brush and tools for cleanig the juicing screens. This might take few minutes. We recommend soaking it over night in water. An advantage of this juicer is its larger (43 mm) feeding chute (standard size - 38 mm diameter). 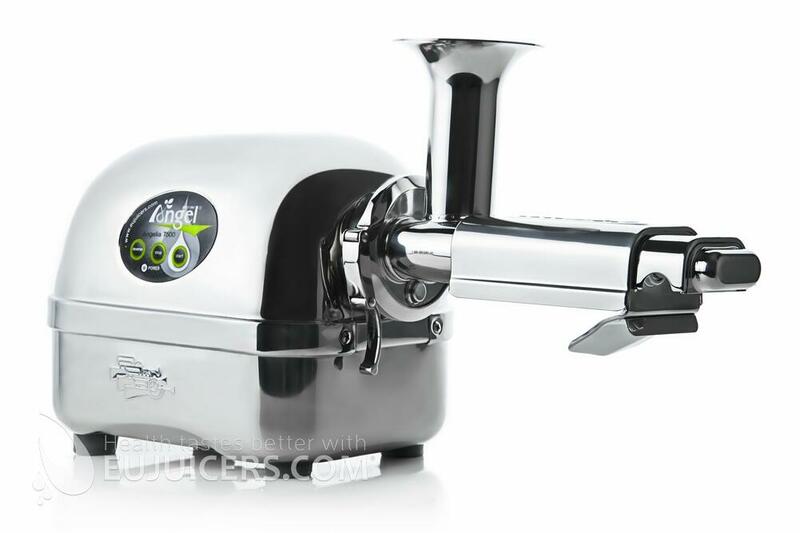 This juicer is the best dual gear juicer on the market. 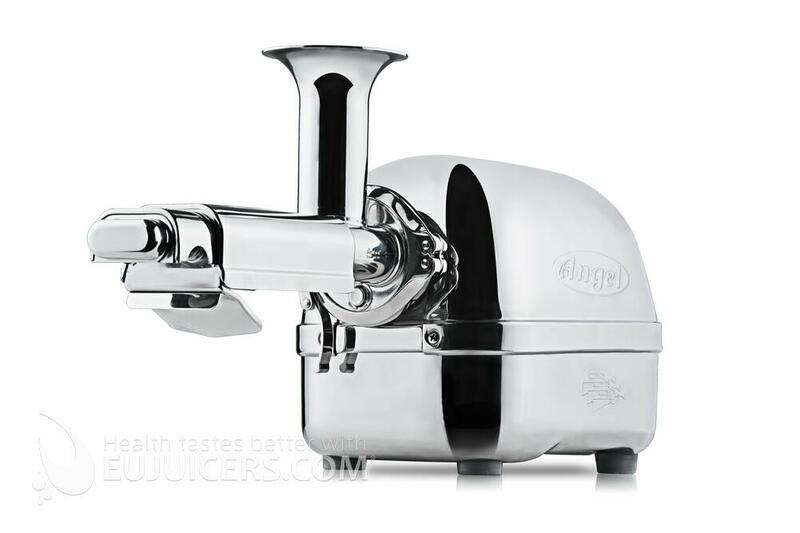 Would you recommend this Angel Juicer 7500 to your friends? I would surely recommend it. It is expensive but worth. If you can spare money and time go for it. 'Time', because it takes more than usual time to clean it properly after you have done juicing. 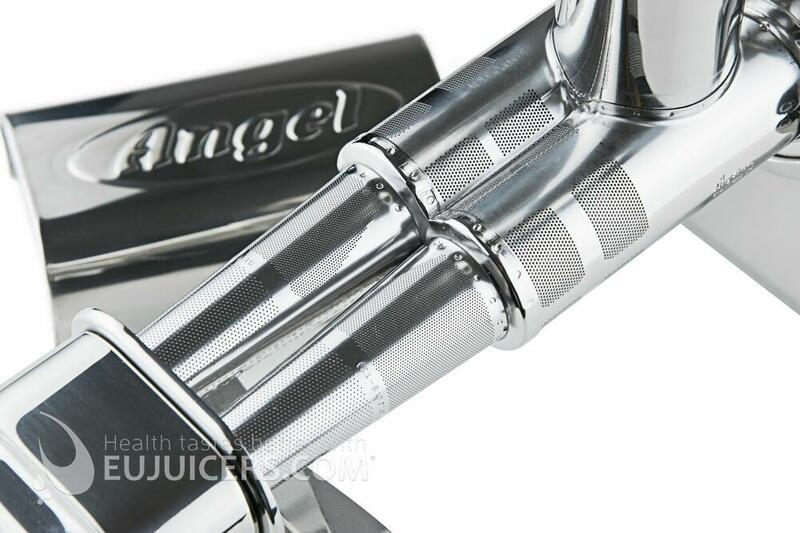 What do you like on the Angel Juicer 7500? Juice made with this juicer are refreshingly good. When I add certain ingredients for additional taste, they infuse very well and enhance the flavor of the juice nicely due to better extraction with this juicer. I didn't get same flavor with other juicers. The downside is that, if some ingredients have strong flavor, they can overpower the whole juice taste and even spoil the taste if not added in right quantity. I am very satisfied with the product. The quantity of juice and the taste is really good. I have not tried long enough to observe and claim any health benefit yet but it does feel good after juicing and will tempt you to do it regularly.